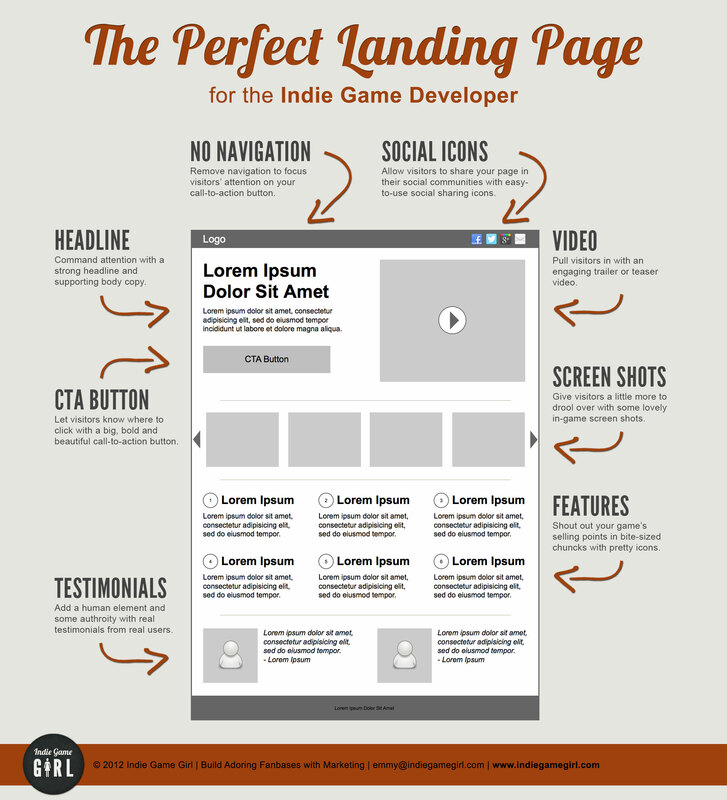 What is a landing page, and what does it do? A landing page is a single page hosted on your site which is separate from your main website. It has a single focus and single action you want your visitors to take. The keywords here are simplicity and conversion. You try to give the visitor just enough information and incentive to convince them to take the action, whether it's to sign up for your newsletter or order your eBook. Due to its singular focus, a landing page can be a highly effective tool to help you to sell your product, gather contacts, or introduce your concepts. Project time frame or deadlines? What main action do you want visitors to the landing page to take? Please describe what you have in mind in terms of elements, colors, styles, etc. below. What does an effective landing page look like? There are many ideas on the matter; in general they include the following elements. We can do A/B testing to see what works best for YOU. How is it different from a website? While a website provides a great deal of information and features, it's primarily informational so there are many places for a visitor's attention to go. That's why conversion numbers can be so poor in general for website analytics. A landing page, on the other hand, has a simplified layout and single action item to make it quick and easy for visitors to respond as you hope. 3. Publicize, publicize, publicize and watch the results roll in!